The Uncorked Band will be returning to the Tavern on Halifax at Three Bears and a Tree. 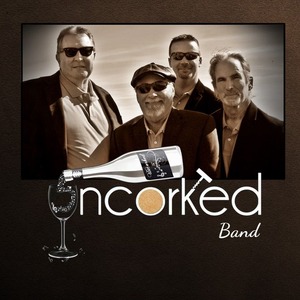 Uncorked performs a wide range of genres and offer something for everyone including: Beach, Blues, Soul, Country, Motown, R&B, Classic & Southern Rock and every in between. There's NO Cover charge and you must be 21+ or accompanied by an adult if under 21. “The Tavern on Halifax”, organized and staffed by April and Paul Banner, is a full service bar serving up dinner and entertainment weekly: Casual Wednesday Karaoke, Live Weekend Entertainment, Dinner Parties. Be sure to like Uncorked and the Three Bears And A Tree on Facebook by clicking the links below to keep up with all of the upcoming events.